ARK update 510.4 for PS4 is now available for download. The new ARK Survival Evolved update 510.4 for PlayStation 4 brings fixes and improvements to the game. The latest update has fixed an issue where some Host Settings were not applying to games. Also, there is a fix for an issue where some Player Dedicated servers would crash on launch or shortly thereafter. In addition, the update has fixed a bug where Scorched Earth skies were not displaying correctly. Check out full details below. Fixed a case where some Host Settings were not applying to games. ARK update 510.3 for PlayStation 4 has fixed a bug where Scorched Earth skies were not displaying correctly. Admin command menu now must be activated by pressing L1+R1+Square+Triangle simultaneously on the Pause Menu. If you would like to play The Center map without advancing through The Island ascension, launch the Island and then open the command menu. Type in cheat playercommand Ascend1. Once finished you’ll be able to load The Center as normal. Option to change the function of pressing left-analog in the Settings menu. When “Quick Toggle Item Names” is checked, you can use the left-analog press to show or hide item names in the inventory. When unchecked, it will switch between inventories when pressed (this is how it functioned before, so uncheck it to make it how it used to be). In building placement mode, Reload Key (Square) is switched to Accept Placement of a structure, (X) to jump while placing structure, (R1) to cycle snap points, (will indicate in the Options menu in the future version). 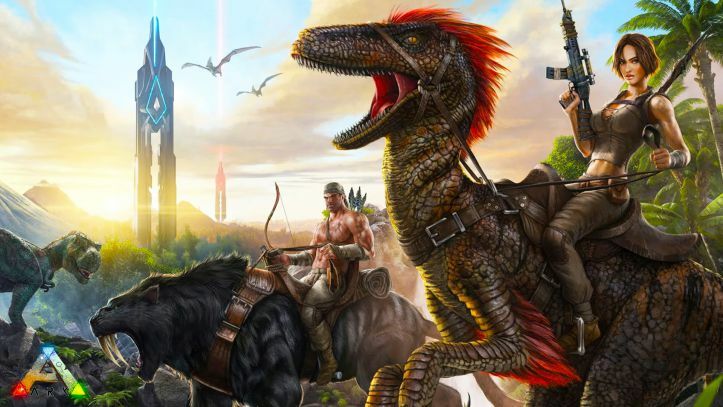 Check out changelog of recently released ARK Survival Evolved update 510.3 on PS4. ARK Survival Evolved update 510.3 for PlayStation 4 fixed an issue where audio would randomly crackle. Fixed players not able to unlock the Artifact Achievement. Fixed an ascension crash related to split-screen. Dropped Item cache / Death Caches now save on reload. Player and Team dead bodies now save on reload. Transferring between ARKs in Single Player will now put you in the correct tribe. ARK update 510.4 for PlayStation 4 fixed an issue with Omni Light where the bulb would always be red. Snakes no longer flee when they’re stuck. Pressing Fire to drop a body ragdoll no longer does the melee attack. Demolishing Gates no longer crashes Primitive+. ARK Survival Evolved update 510.3 fixed a case where sound would not play properly depending on the position you were looking. ARK update 510.3 for PS4 fixed an issue with cave-post processing in split screen. Fixed an issue where various host settings were not saving. Corrected the Apex Predator trophy description. ARK Survival Evolved update 510.3 enabled Hibernated Spawns on Player Dedicated Servers to prevent an OOM crash. Note: According to the developers, the previously existing data may be inhibiting the ability to join official/unofficial servers and singleplayer. Deleting this data will RESET the data, including explorer notes, the mini-map, and achievements. You will have to get/unlock these again once the data is deleted. Deleting this data will not affect your characters or singleplayer saves. Navigate to: PS4 Settings > Storage > System Storage > Saved Data > ARK > Delete Local Profile. After the file is deleted, you should be able to join your server again. Recently, the developers also released update 264.3 for PC users. In addition, Xbox One users will receive the update in upcoming weeks. Check your game update and download latest ARK update 510.4 for PS4.